Swedish developer Poppermost has been working on SNOW for quite some time now. Developed with CryENGINE, the game has been available on Steam Early Access since March 2014 and it will now transition into Open Beta from January 27. We’ve reached out to CEO Alexander Bergendahl to learn a bit more about SNOW. The game has been previously confirmed to launch on PlayStation 4 too since Sony reached an agreement with the studio, and we asked them the likelihood of an Xbox One version once this deal expired. You’ve said that you have a temporary exclusivity deal with Sony preventing you to launch the game at the same time on Xbox One. That said, how strong is the likelihood that SNOW will indeed release on Xbox One once the period is up? We receive emails every day from people who want to play SNOW but only have an Xbox One, so I’m sure we’ll see the game make its way over there eventually. We’re a small team and with our limited resources have to focus on a single platform at a time. We want to bring SNOW to as many platforms as possible but have to make sure we don’t kill ourselves doing it. 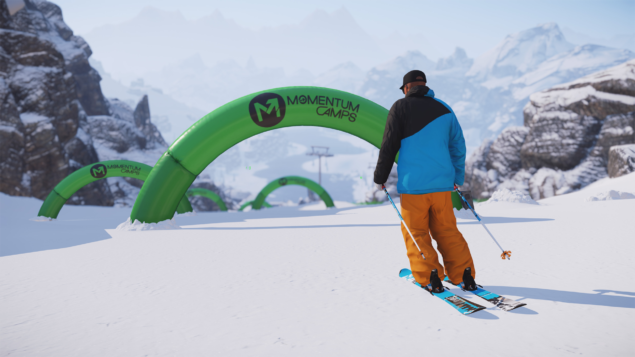 Good news for Xbox gamers who are interested in winter sports, then. Since Poppermost already added support for the Oculus Rift on PC, we asked about PlayStationVR on PS4. Do you plan to add PSVR support at some point? For sure! We’ve been working a lot with various VR devices and have some initial implementation already live in the Closed Beta. Since SNOW is heavy on multiplayer competition, we asked if the team intended to implement CrossPlay between the PC and PlayStation 4 versions of the game. Do you intend to implement cross-play between PC and PlayStation 4 and if not, why? We’re still investigating what’s possible on that front. We’d of course love to allow PC and PlayStation 4 players the ability to play and enjoy the mountain together. Check back tomorrow for the second part of our interview with Poppermost.